So perhaps I am still not entirely sold on these new Pokémon 3DS games that are being released in October of this year, but I still find myself drawn to all the new Pokémon that are being announced. Nintendo has held a tonne of stuff from us for now. We don't know the type of this Pokémon, neither do we know how it evolves from Eevee. Me and some of my university flatmates discussed between us what type it could be, but we really couldn't think of what type Sylveon could be. The only one that we thought it could be was Normal, but that would be boring, as Eevee is normal type already. 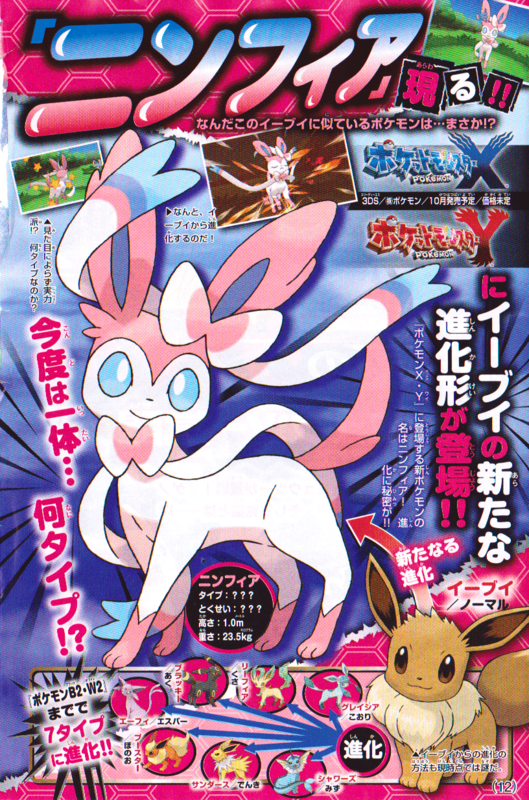 Psychic was also considered, but Espeon is the Psychic Eevee evolution, and another one would just be silly. 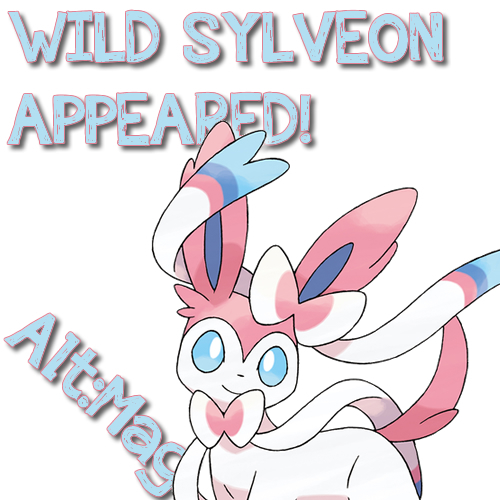 When watching the below video of it in action, Sylveon uses a few moves that look rather different and made us believe that perhaps the Pokémon dudes could be bringing out a new type! Magic or Light type perhaps? Well, we'll see what they pull out of their sleeves. Until next time Pokéfanatics!